we’d search the horizon for a distant cloud of dust. bodies waited with simmering patience. of perception as she’d look at us rag-tag kids. us to cross the threshold. carefully choosing, extending the time as long as possible. I tried on Scarlett O’Hara and Nancy Drew. lived on the edge of danger and wildness. But it was Francie who changed my life. to grow, green and alive. the library lady still surrounded with books. 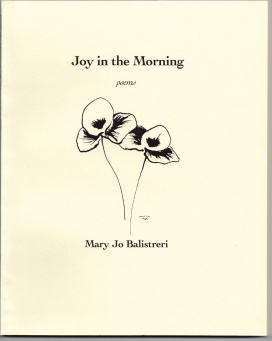 Mary Jo Balistreri is the author of Joy in the Morning, published by Bellowing Ark Press, and the chapbook, Best Brothers, published by Tiger's Eye Press. She is one of the founding members of Grace River Poets, an outreach program of poetry for women's shelters, churches, and schools. 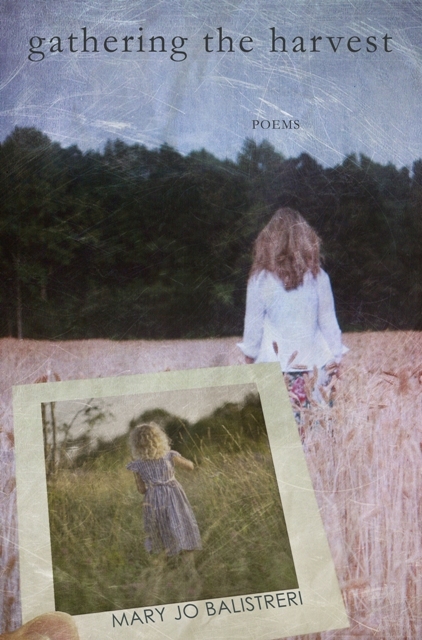 Mary Jo's poems have appeared or are forthcoming in MOBIUS, The Healing Muse, Passager, Tiger?s Eye, Ruminate, Verse Wisconsin, Quill and Parchment, Crab Creek Review, and others. She recently placed first for essay in the Wisconsin Writers Jade Ring Contest, and is the recipient of a Pushcart Nomination in poetry. Beautiful, evocative. Thank you,Mary Jo. from Mary Lou: There's always a gentle beauty to your poems. I love the way the poem expresses pleasant memories from the past and how they are a part of you forever. This was so pleasurable to read. A beautiful, vivid poem that evokes each readerâ€™s memories of childhood connecting with books or libraries. (For me, the title is very important, and the poem recalls one of the hottest summers on record, 1936, that I spent on a farm in Missouri and was caught in a dust storm.) So what I especially appreciate in this poem is the contrast between the arid, hot summer on the prairie (possibly with few trees), with its dust and dirt, where the unkempt, sweaty kids are thirsty for that other world of books, and the lush green landscape of growth the poetâ€™s child-self experienced by identifying with her favorite heroine, Francie, after â€œtrying onâ€� like a garment, other, less favorite heroines. What I find stunning is that the transformative childhood reading experience remains vivid today, still "green and alive." I love the details about the jiggling bodies and lady making the kids wash their hands. The scene is very real in my mind. Thank you, Jo, for a slice of life I wouldn't have known otherwise. Thoughtful and sensitive walk through early childhood experiences that shaped one's life. "like the tree that sprouted between cracked cement, she encouraged me to push ever upward" what beautiful lines and image! A fine reminder of the importance of libraries and how some of the books we read as children stay with us the rest of our lives! A beautiful poem. I, too, went on adventures with Nancy Drew. Kathleen Carroll: This poem evoked childhood memories of the book mobile that used to come into our neighborhood. I loved the vivid details in this poem, Mary Jo. And Francie was one of my childhood heroines. Thank you for such a wonderful journey into my past! A lovely poem, flowing with the textures and pleasures of a simpler time. Many thanks for sharing it. Love this poem. The book mobile welcomed my family to Hayesville when we first moved to the NC mountains in the sixties. My husband and sons always came home to Cherry Mountain with an armload of books. Working in town, I walked to the Moss Memorial Library once a week to check out my books. The bookmobile still travels here in our mountains. Still in the Southern Appalachian Mountains, there are readers who cannot get to town. To close a library should be a crime, we need the bookmobile lady in today's world, thanks Jo, for a wonderful poem. I lived on an eastern NC farm and I still remember the visits of the book mobile. My mother would select four books for me and I was allowed to choose the fifth. I remember the intense scrutiny in choosing a book. Hire someone who reads. My mother didn't drive, so the bookmobile was my only link to books in the summer. I'm sending this poem to my best friend. We rode our bikes together to the nearest bookmobile stopâ€”two "rag-tag" girls hungry for stories to read! Thanks for the memories, Jo! We had a bookmobile too. I remember the books, the way the check out man corrected my 7s and the singular smell. Great poem. Such a true picture of such a wonderful service. Our Book Mobile was a mysterious, musty treat all summer long. Thanks! I have fond (but separate) memories of both the book mobile in my little Eastern Colorado town (it supplemented our library) AND of Francie.